On Wednesday, two Newsome High School students, both juveniles, were arrested and charged with threat to bomb, a felony charge. On the afternoon of March 6, 2017, while both students were inside the McDonald’s restaurant located at 16701 Fishhawk Blvd they created a drawing of the Newsome High School courtyard area. 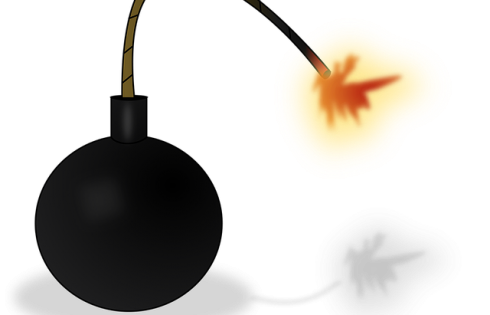 The drawing depicted a picture of a bomb within the courtyard. The defendants then walked away from the table, leaving the diagram on top of the table, as well as a manual for an unknown type firearm. Later that afternoon, a witness walked through the restaurant lobby and discovered the diagram on the table, as well as what he believed to be a manual for a firearm. After viewing the diagram, the witness became concerned that someone has placed or is going to place a bomb in the courtyard area of Newsome High School. Surveillance video was obtained from the McDonald’s which showed both defendants actions inside the restaurant. Both students admitted to drawing the diagram and leaving it on the table. They indicated that they wanted to get a reaction out of whomever found it.